AAC stands for Augmentative and Alternative Communication. 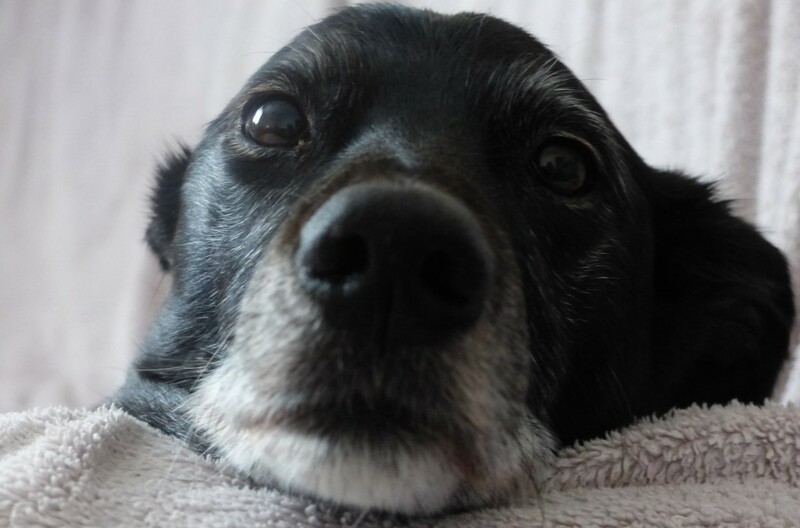 It refers to any other system of communication other than speaking, in other words alternative ways of communicating from what most people use. This includes pointing to pictures and symbols for younger children who cannot yet read, using sign language, pointing to letters on an alphabet board to spell out words or using an High Tech Device. My Lightwriter is an example of an High Tech communication aid. 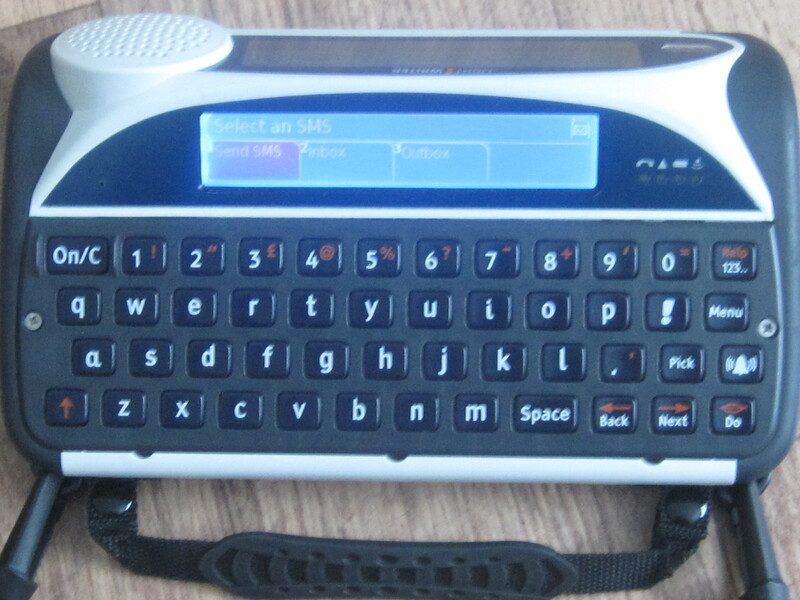 It is good for people who already have literacy/typing skills and want to be able to quickly type a word. Some people with no dexterity problems maybe able to type quickly on these and just use it as a simple talking keyboard. I used to use that method at first before my hands/arms became more affected by the Ataxia. 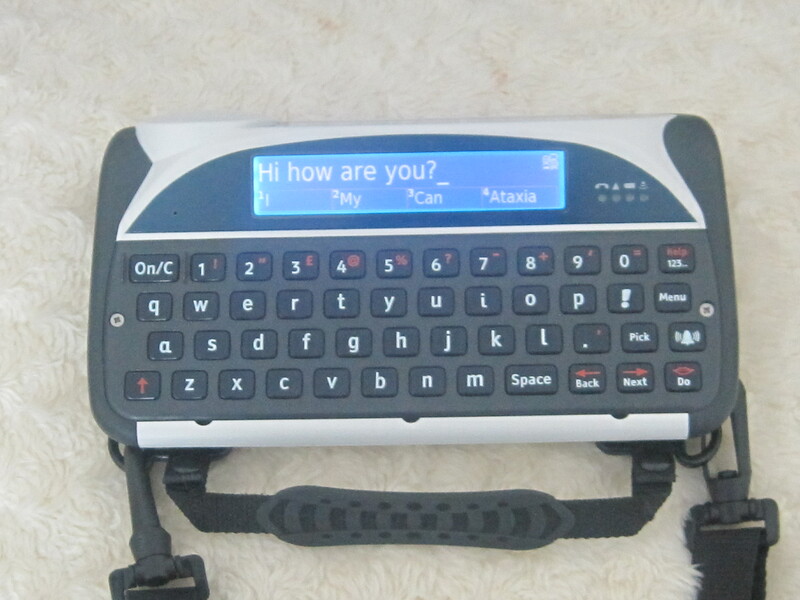 For people with more physical disabilities that may slow down typing the Lightwriter has a great system of Word Prediction and Abbreviation-Expansions. It is a similar system to the one I use on my Mac. (see page ‘Assistiveware for Mac’ for more details). You can also save a sentence as a sentence rather than attaching an abbreviation to it. To find the sentence again quickly you just type a keyword from that sentence eg. I type ‘imac’, it brings up ‘iMac’ in prediction, if I then press ‘pick’ it brings up all the sentences containing the word iMac. This is useful for situations like the bank for example where I can just type in ‘acc’ brings up account and quickly select from a choice of sentences containing that word like ‘I’d like to transfer some money from my account please’, ‘I’d like to take some money out of my account please’, ‘I’d like to put some money in my account please’ and saves me alot of typing. 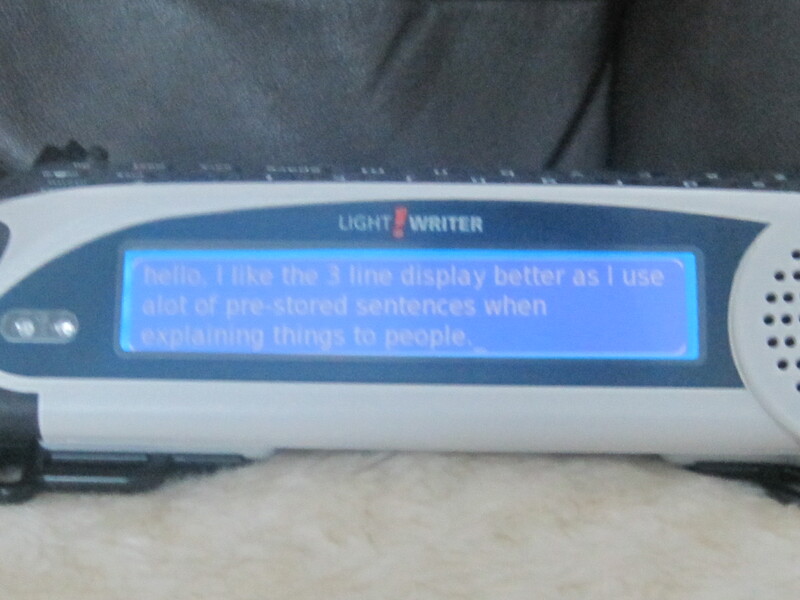 The Lightwriter is also good for spontaneous conversation (where you don’t know what other person will ask or what you might need to say). Its intelligent word prediction will predict the next most likely word for example if you chose ‘where’ the word ‘do’ would appear in next predictions, select ‘do’ and ‘you’ will come up in next lot etc so you can quickly put together a sentences such as ‘Where do you want to go” or “where do you think he is” “where shall we go today” etc. This means you can save your storage space for longer sentences or things that never change ie giving out your address, explaining your medical condition. 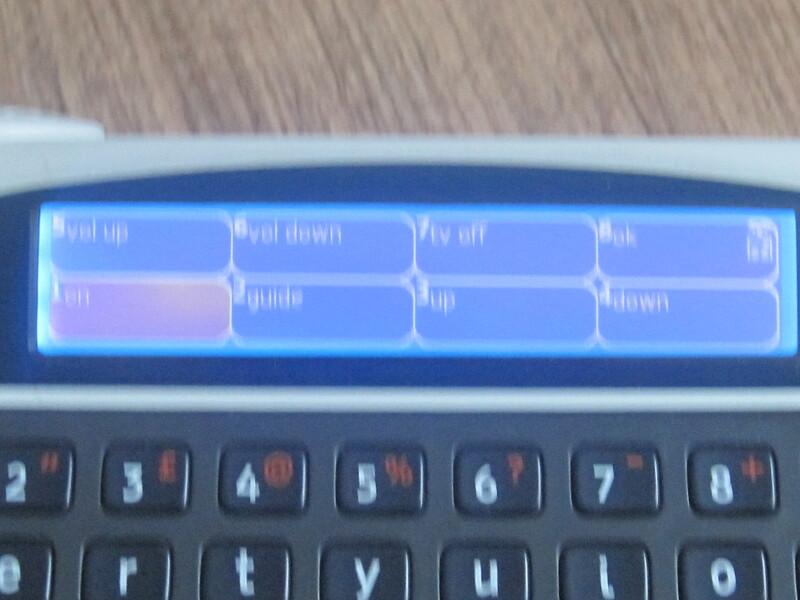 My Lightwriter can also work my bedroom TV via a simple 8 slot Environmental Control and send and receive SMS text messages. Each slot does one thing eg TV on. I can also bring up guide (channel menu) navigate up and down guide, and select ok to choose channel, adjust volume up and down and turn it off.